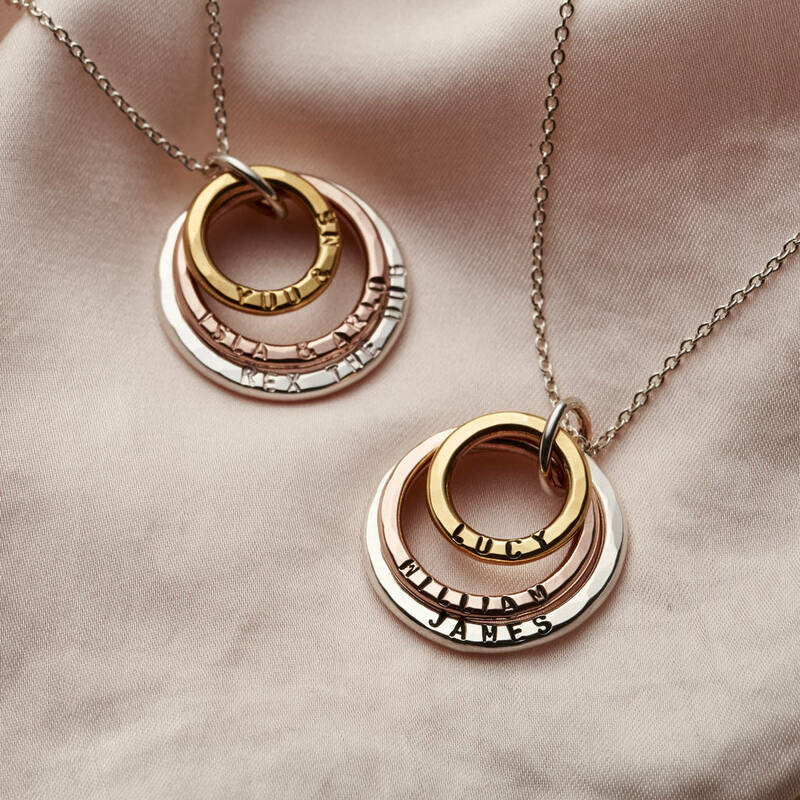 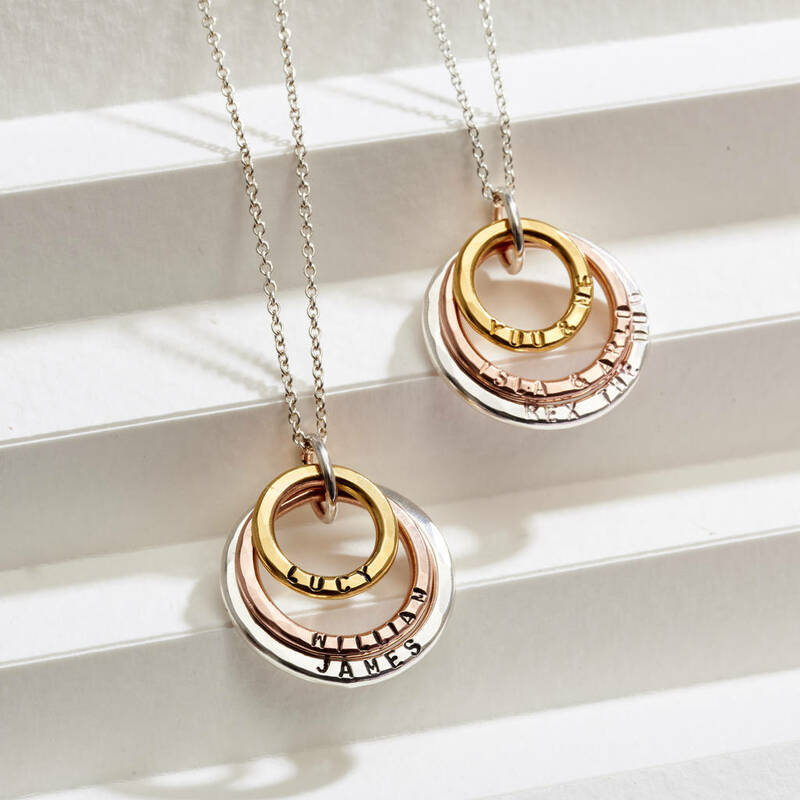 Our stunning handcrafted Personalised Mixed Gold Family Names Necklace is the perfect gift for someone special. 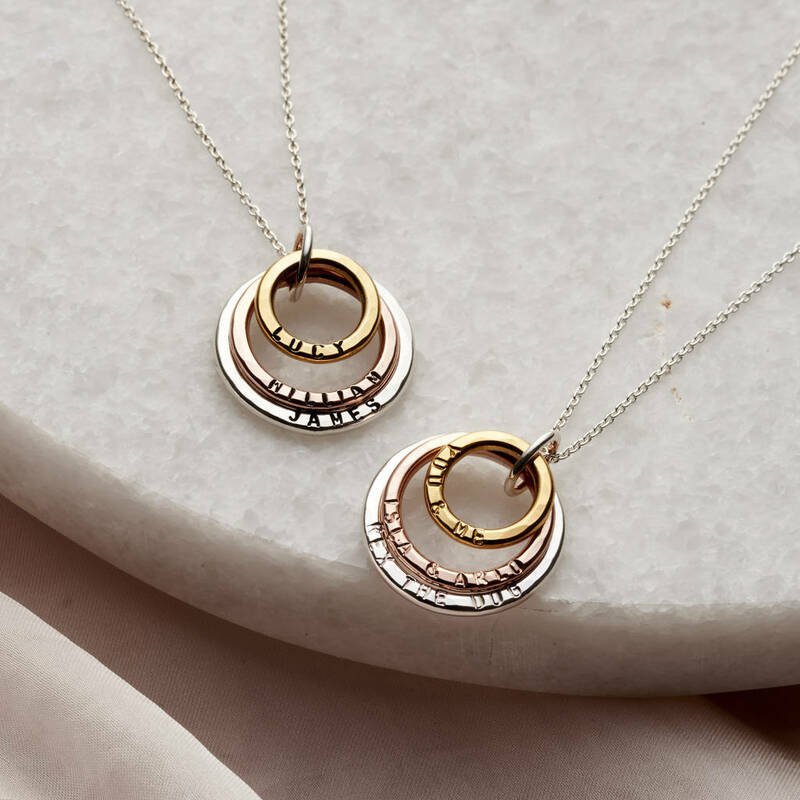 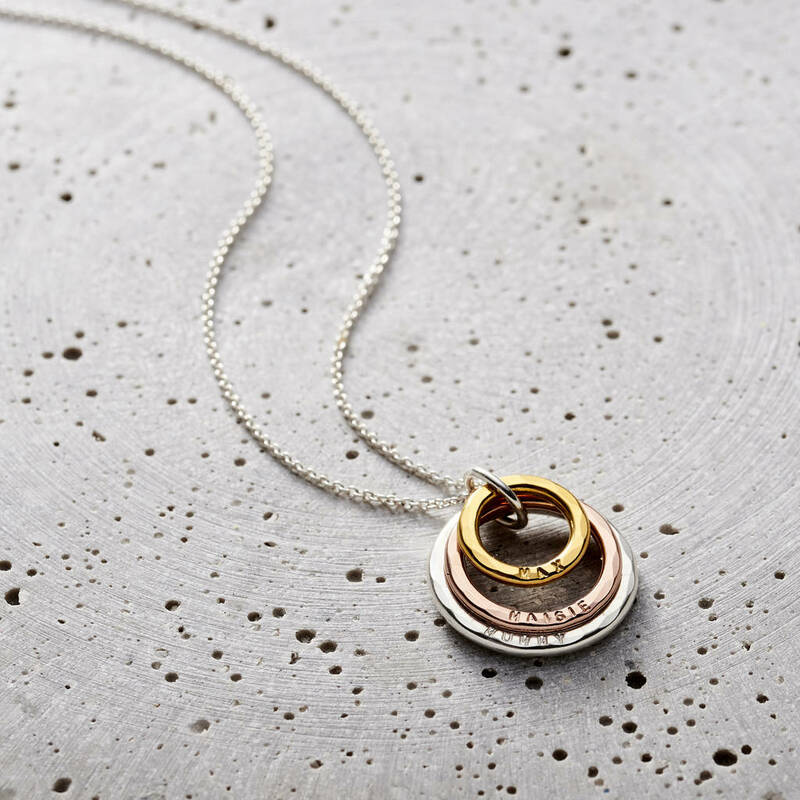 Designed and made in our Brighton workshop the pendant features a large Sterling Silver ring, medium 18ct Rose gold-plated ring and a small 18ct yellow gold plated ring. 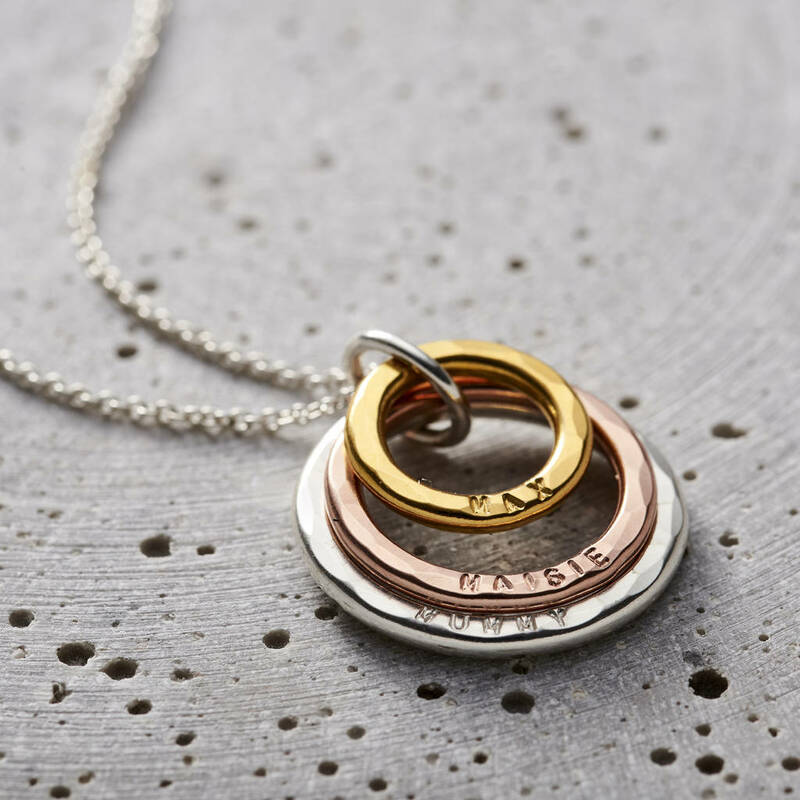 Each can be personalised with names, dates or words special to you. 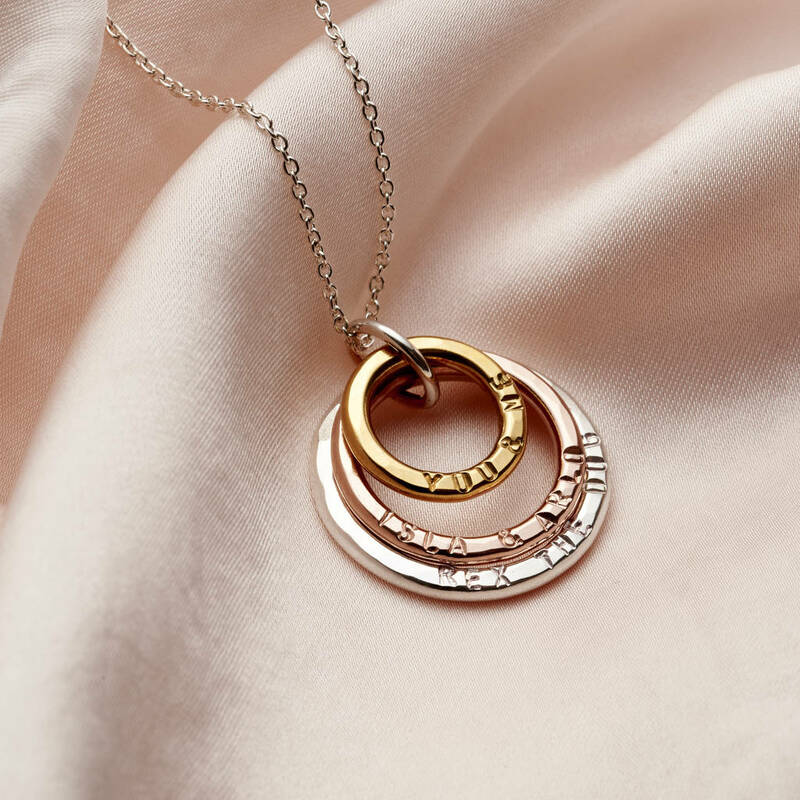 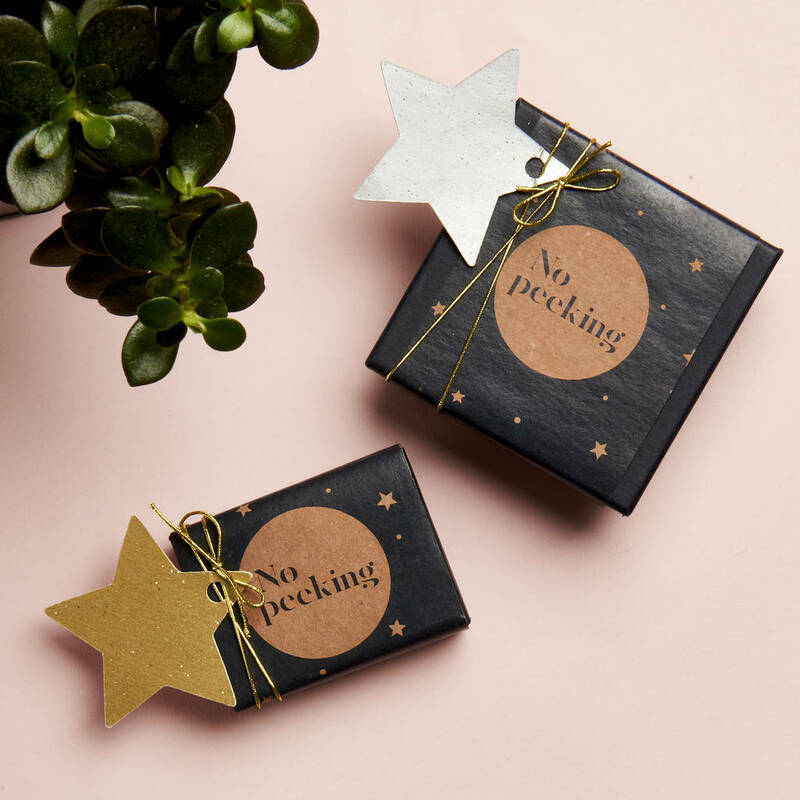 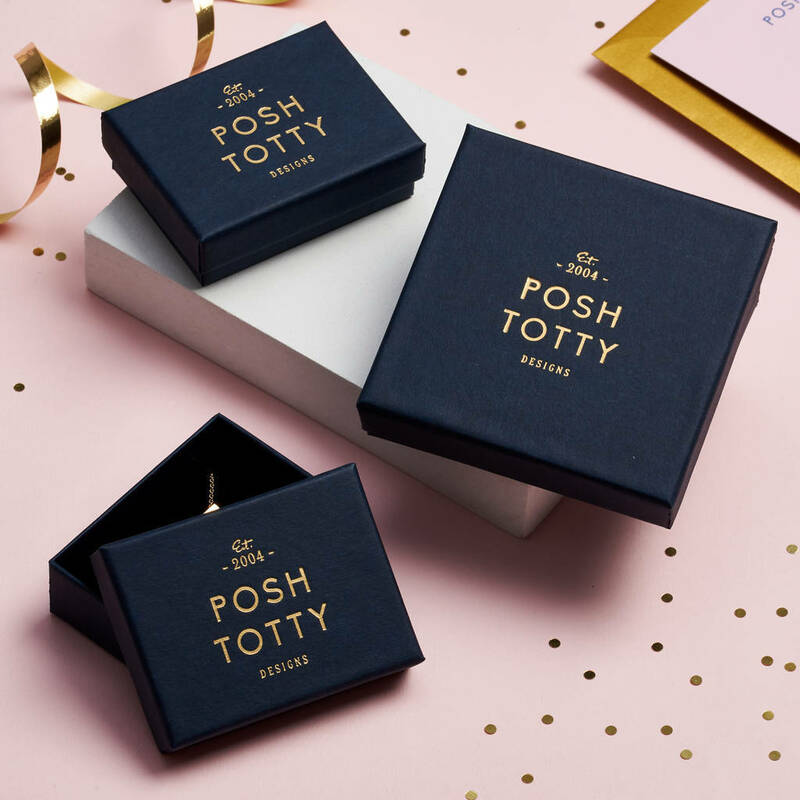 The personalisation is hand stamped rather than machine engraved, as such, any irregularities should be appreciated as part of a bespoke design. 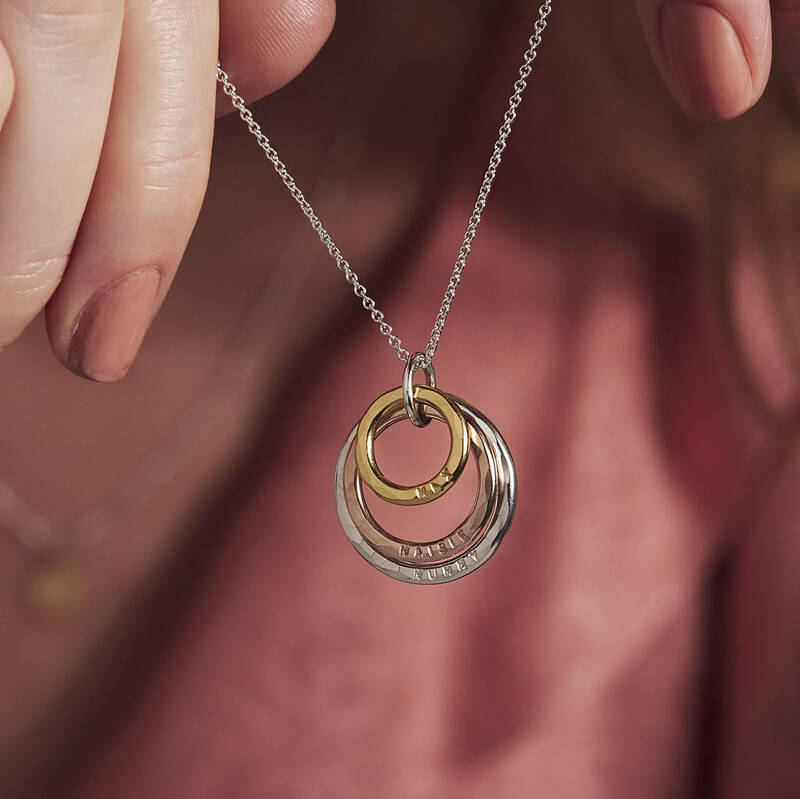 Personalisation is not available on the reverse of the rings. 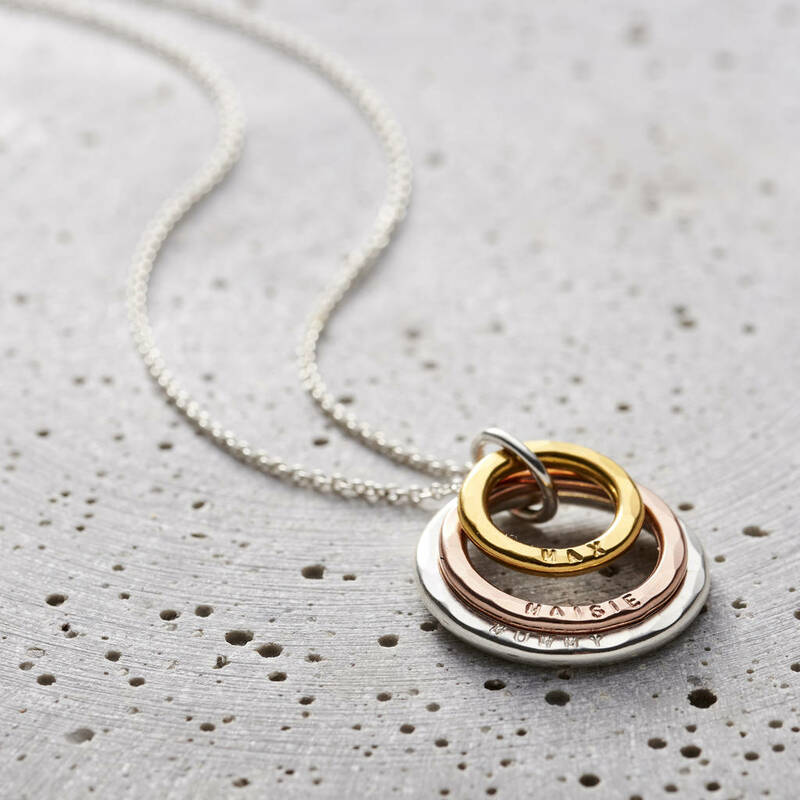 925 sterling silver, 18ct yellow and 18ct rose gold plating. 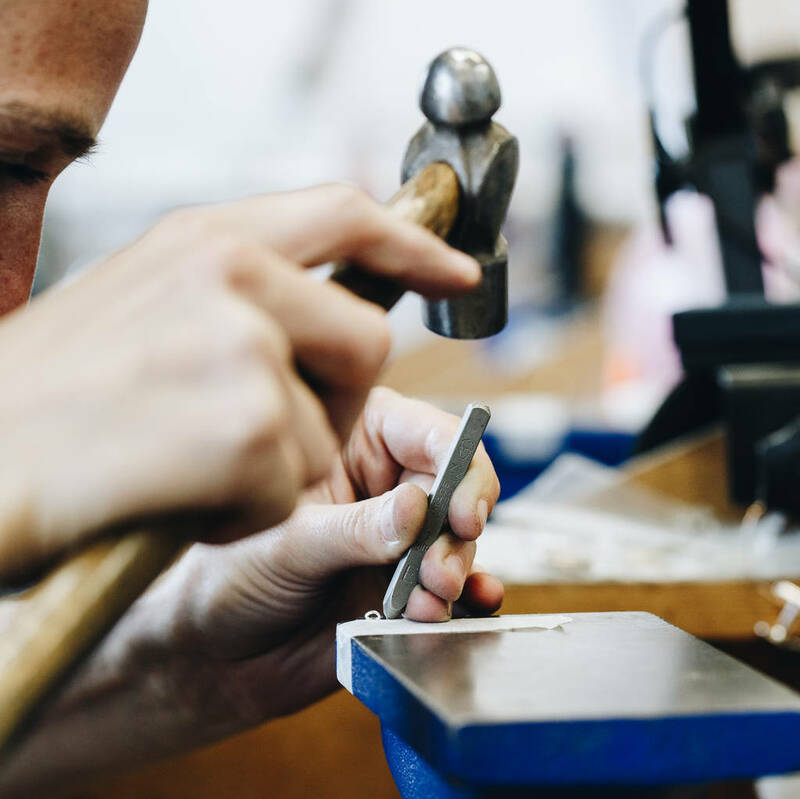 Outside diameter of the rings, external wall to wall:Large ring = approx 2cm, 0.23cm thick, Medium ring = approx 1.7cm, 0.2cm thick, Small ring = approx 1.3cm, 0.2cm thick.